I found a great 70s made for TV movie that I watched today called "Out of Contention" (1972). It was originally released under the title of "The Victim". It's a great mystery/thriller starring Elizabeth Montgomery, Eileen Heckart and Sue Ane Langdon. Elizabeth Montgomery plays Kate Wainwright the sister of a woman that is murdered at the beginning of the film and stuffed in a basket in her basement. The audience never sees who did it. Not able to reach her sister by phone she gets worried and travels unannounced to her sister's house in Northern California. 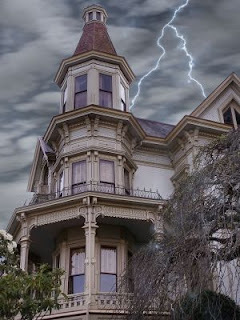 She arrives to a seemingly empty house during a horrible thunderstorm. Elizabeth Montgomery does an excellent job playing the concerned sister just trying to figure out what is going on. 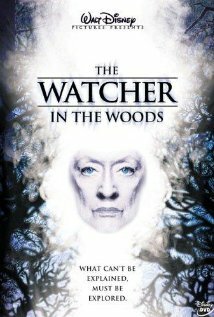 For most of the movie it's just her trapped in the house during a storm with no phone or electricity. 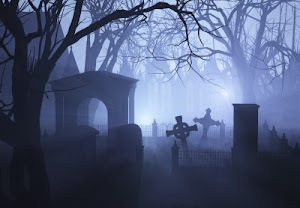 But the murderer is lurking around. Is it the possessive maid that the sister previously fired, the husband who the sister wanted to divorce, or someone else? 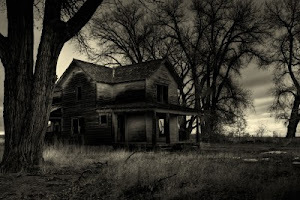 Dark house, rain, thunder & lightning, strange noises in the basement, eerie music - loads of atmosphere in this one! This is one of those classic made for TV thrillers that I love and I have now added it to my favorites on my Made for TV Horror/Thriller page. YouTube has been getting a workout lately while I discover some "new to me" made for TV (mostly) films from the 70s. 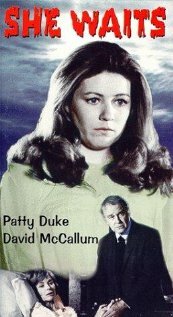 She Waits (1972), starring Patty Duke, David McCallum and Dorothy McGuire: A murdered woman seeks revenge, possesses her husband's new wife. 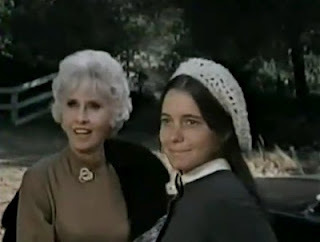 Nice atmosphere and good job by Patty Duke playing the innocent new wife. Reflections of Murder (1974), starring Tuesday Weld, Joan Hackett and Sam Waterston: The wife and mistress of the abusive headmaster of a boy's school plot and carry out his murder. Takes place in and around Seattle. Good plot twists that keep you guessing. Scream of the Wolf (1974), starring Peter Graves, Clint Walker and Jo Ann Pflug: A big-game hunter comes out of retirement to help track down a killer wolf, and begins to suspect that it isn't a wolf but an animal that can take human form. 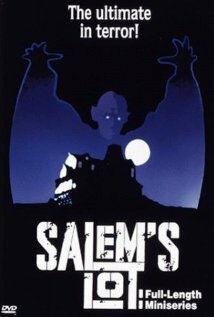 One of Dan Curtis' made for TV movies. Couldn't quite hold my attention. Haunts of the Very Rich (1972), starring Lloyd Bridges, Cloris Leachman, Edward Asner, Donna Mills and several more famous actors: A group of rich people are lured to a secret new resort. It seems like paradise at first but then things start to go wrong. Kind of a mash up of Fantasy Island and Twilight Zone. 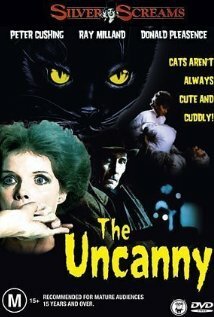 The Uncanny (1977) [not made for TV], starring Peter Cushing, Samantha Eggar and Ray Milland: Wilbur Gray, a horror writer, has stumbled upon a terrible secret, that cats are supernatural creatures who really call the shots. In a desperate attempt to get others to believe him, Wilbur spews three tales of feline horror. The first story of the old lady, her many cats, her devious maid and nephew was my favorite. After that, they kind of went downhill. 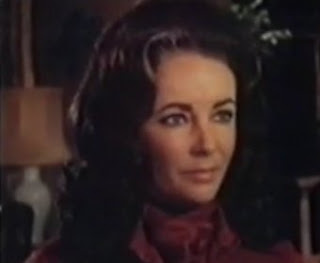 The Eyes of Charles Sand (1972), starring Peter Haskell, Joan Bennett and Barbara Rush: When his father dies, Charles inherits the Sand family legacy, the ability to see visions beyond the grave. He helps a girl investigate her brother's alleged murder. Very slow to start but had a fast paced last third. Yesterday I watched a double feature of Carl Kolchak made for TV movies: Night Stalker & Night Strangler. Kolchak is a pushy newpaper reporter who keeps getting into trouble in each city he lives and has to leave town. The Night Stalker takes place in Las Vegas where a vampire is on the loose and no one in the city will believe Kolchak. 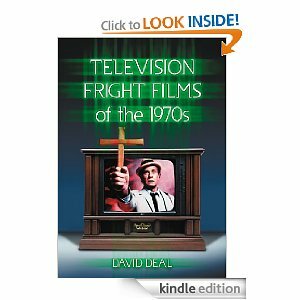 Classic 70s telefright film that I have added to my Made for TV list as a favorite. The Night Strangler is a sequel that takes place in his new city, Seattle. Here also there is a string of murders, women being strangled and blood being taken, but it's not a vampire who is to blame this time. Not quite as good as the original but great to see my city from the 70s on the screen. Both films directed by Dan Curtis who made a lot of these types of movies during the 70s, including my favorite Burnt Offerings. There's something about made for TV movies of the 70s and 80s that I just love. 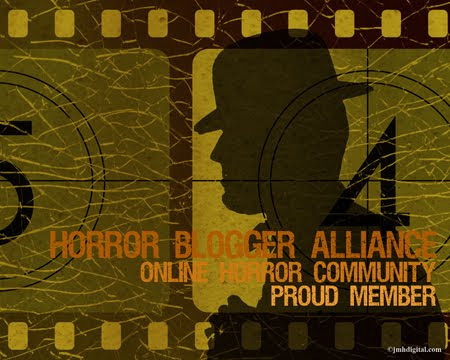 They bring back fond memories of evenings or rainy Saturday afternoons being immersed in a tale of terror. See a list of some of my favorites on my Made for TV page.